As house prices in London and the south east continue to spiral further and further out of reach, you may have given up on the idea of ever being a homeowner. Or even a very-small-flat-owner. 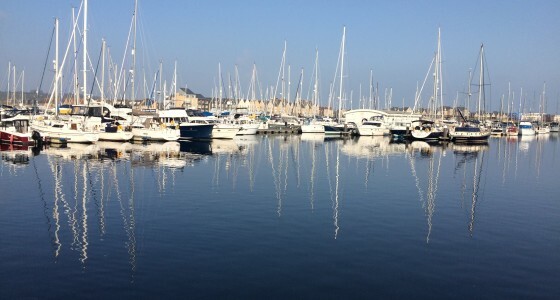 But we’ve scoured the country to find 10 places where property is relatively affordable and there are still good enough employment prospects, transport connections and local charm to make relocation a possibility. See you there. It’s well-connected with good rail and road links to London, but you’ve also got the Kent countryside on your doorstep. Chatham itself has a pretty historic dockyard and there’s a decent shopping centre. It’s feasible to commute to London from Chatham: you can get a train to the Big Smoke in 45 minutes. Snap up a one bed flat for around £100,000 or a two bed terraced house for £150,000. If you’ve got £250,000 you can afford a comfortable family semi. An imposing cathedral (the fifth largest in the world in fact), a famous football club and a buzzing music scene are amongst Liverpool’s eclectic highlights. Several government departments and public bodies have offices in Liverpool, meaning that many people are employed in public administration. 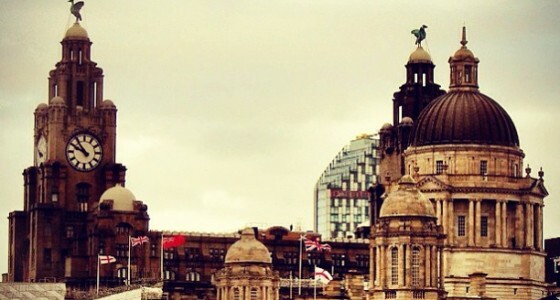 Liverpool’s finance sector has also expanded in recent years. Prices start at around £30,000 for a flat, and you can get terraced houses for a mind-blowing £50,000. A detached house in Liverpool can cost as little as £200,000 - the cost of a small flat in many parts of the south east. Moseley in south east Birmingham was named as the Sunday Times best place for city living this year, due to its village-like feel and plentiful pubs and parks. Other nearby Birmingham suburbs worth considering include Kings Heath and Edgbaston, which are leafy but well-connected to the city centre. 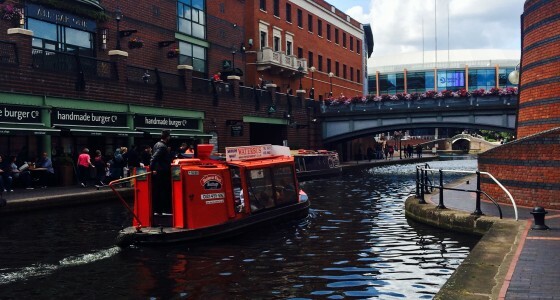 Traditionally Birmingham has been an important manufacturing and engineering centre, but now it’s the financial and insurance industries that are flourishing. You can get a terraced house for around £150,000 in Moseley and a bit further south in Kings Heath that amount could buy you a three bed semi. In Edgbaston prices for a terrace start at around £120,000. Reading boasts a selection of high street stalwarts and independent shops, and there’s a good music scene as well as the famous festival. Head to the nearby Chilterns Area of Outstanding Natural Beauty for a walk, or hop on the train for a day in London. Tech and finance companies are amongst the big employers in Reading, including Microsoft, Oracle and ING Direct. You can also easily commute to London: fast trains to Paddington take half an hour. Flats start at around £150,000, and it’s possible to get a two or three bed terraced house for around £260,000. Southampton has plenty of shops, restaurants and bars and a large leafy common. You’re also close to the beautiful New Forest and not far from south coast seaside destinations like Bournemouth. The B&Q head office is in Eastleigh, a few miles from Southampton. The hospital and the university are also major local employers. Southampton is also in easy reach of Winchester, Basingstoke, Bournemouth and Portsmouth. Prices start at around £100,000, and you can quite comfortably get a two or three bedroom house for under £200,000. 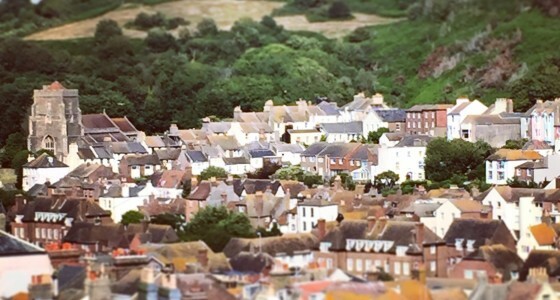 Compared to much of Sussex, Hastings is relatively affordable. It’s on the sea and the Old Town is picturesque and surprisingly artsy, with ambling alleyways and some great independent shops and cafes. There are few large companies in Hastings, and the public sector is the major employer. However, in the last few years initiatives have kicked off to increase local enterprise and create employment. Trains to Eastbourne take 25 minutes. It’s possible to get a flat for £100,000 and a smart two or three bedroom town house for £250,000. A market town like Diss is pretty and quiet, but only a 17 minute train journey to Norwich and 20 minutes from Ipswich. Norwich’s university, teaching hospital and international airport provide jobs, and there’s also a research park where over forty science and technology businesses are based. A Rightmove poll this year named the North Yorkshire spa town the best place to live in the UK. Residents rate Harrogate for its safety and upkeep, and it boasts beautiful parks and gardens and proximity to spectacular Yorkshire countryside. The hospital in Harrogate is a major employer, and it’s also possible to commute to Leeds in about 40 minutes by car or train. Leeds is one of the UK’s largest finance and business centres, and it’s also a major legal hub with around 200 law firms in the city centre. Harrogate property prices start at around £140,000, while with £200,000 you can afford a three bed semi. 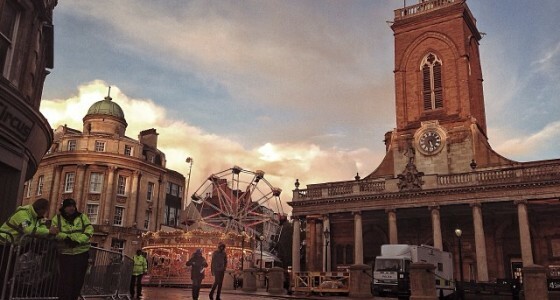 Northampton’s St Giles Street has recently been crowned the winner of the city category in the ‘Great British High Street’ competition, praised for its regeneration and the development of a cultural quarter. Carlsberg employs people in its Northampton brewery and office and there are also several call centres in the town. Trains to London only take an hour. You can snap up a central terraced house for under £150,000, while in the suburbs a more spacious family home will set you back about £220,000. 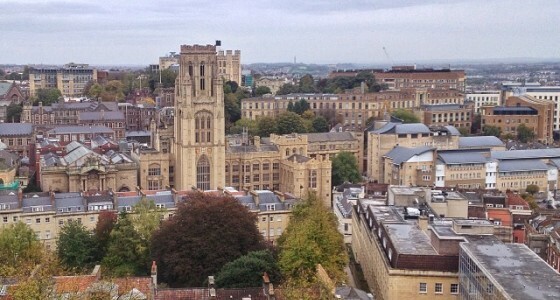 Bristol has lots going for it, and it was named the best city in the UK in 2014. It’s praised for its vibrant culture, beautiful housing and excellent transport links, and it’s become a popular destination for people relocating from London. Tech start-ups and media studios abound, including the Aardman animations studio which is a well-known resident. FTSE 100 financial service company Hargreaves Lansdown are also based in Bristol. You’ll need around £250,000 for a two bed terrace or a smart city centre flat. Venture into the suburbs and you may be able to get a family home for a similar price. Ready to move? Our guide will help you sort your finances when you move house.